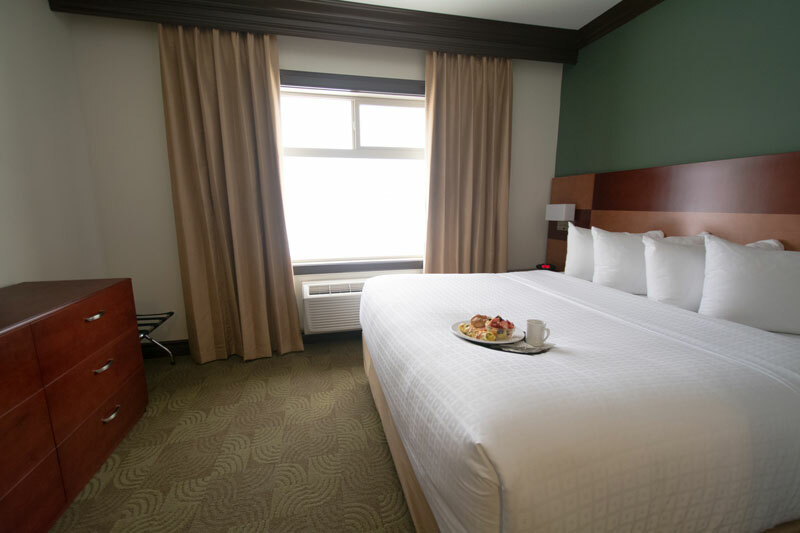 The Kindersley Inn has 215 spacious rooms and suites with everything you need to make your stay with us as comfortable as possible. 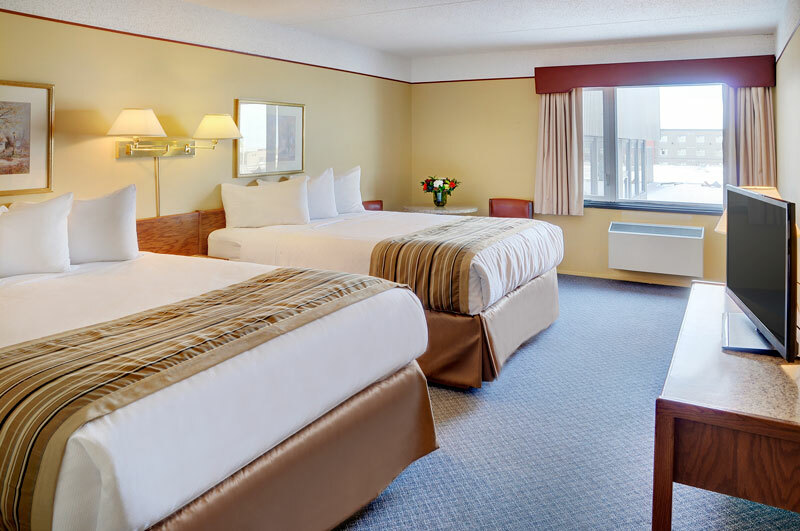 Whether you're here for the night, or staying for a while, we want you to feel right at home. 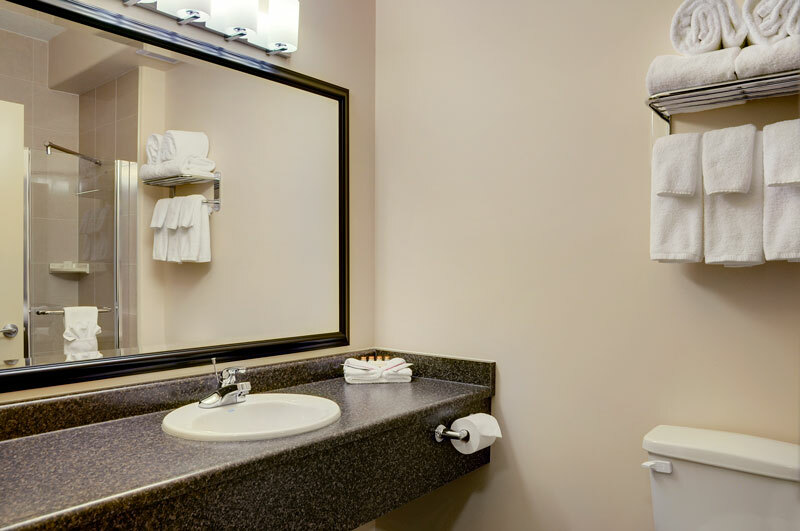 Wheelchair Accessible Queen Rooms and Adjoining Guest Rooms are also available on request. 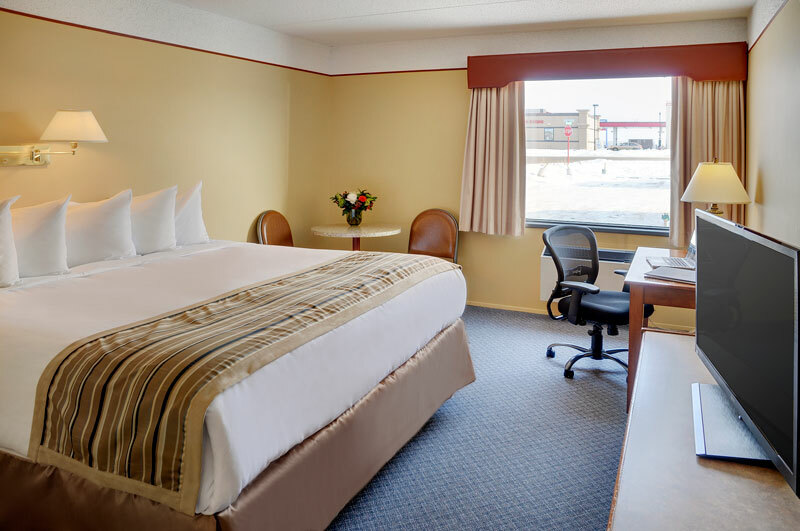 Located in the main building, these rooms are well appointed with everything you need to enjoy a great nights' sleep while on the road. 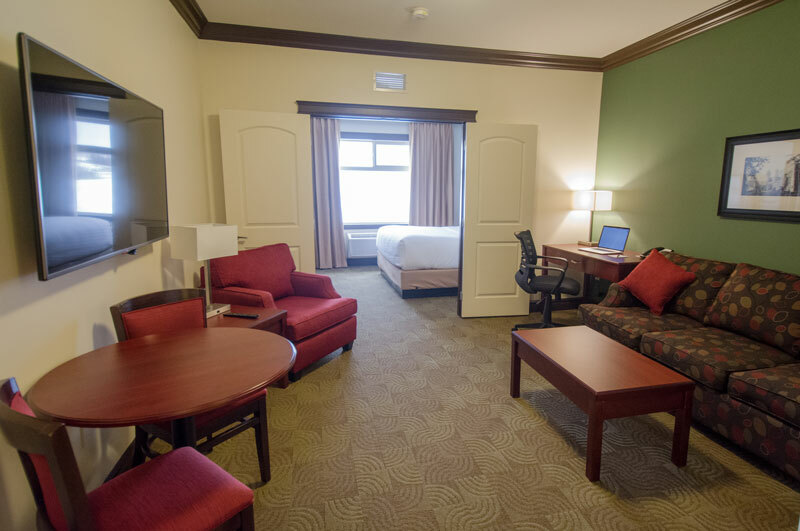 Located in the main building, our Two Queen Rooms are comfortable, spacious and are perfect for teams or groups. They include a desk, table and chairs and plenty of room for multiple people. These King Rooms are in our newer annex building and are a bit more spacious, are well appointed and are perfect for teams or groups. 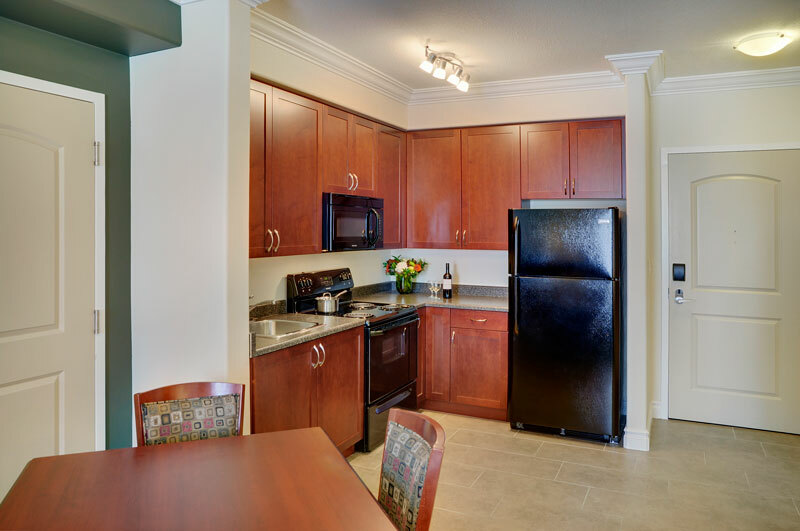 They include a kitchenette unit with a microwave, mini fridge, toaster, kettle, dishware and more. These Two Queen Rooms are in our newer annex building and are a bit more spacious, are well appointed and are perfect for teams or groups. 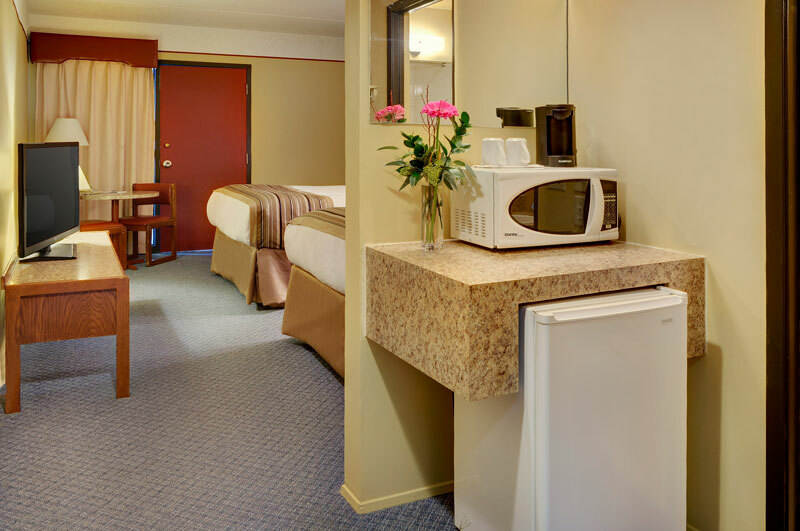 They include a kitchenette unit with a microwave, mini fridge, toaster, kettle, dishware and more. 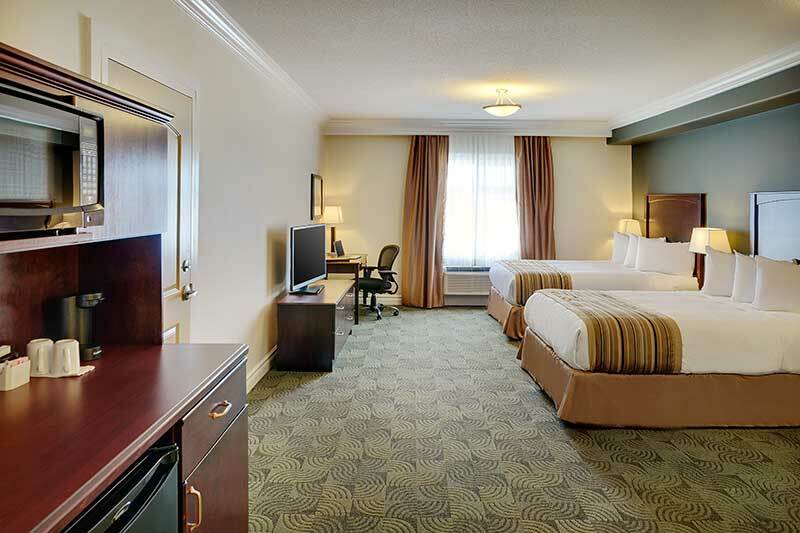 Our Junior King Suites are spacious with a living room and bedroom separated by French doors. The cozy living room is perfect for entertaining or relaxing and has a pullout couch, desk and flat screen TV.  Rest comfortably on a King-sized Simmons® BeautyRest® mattress, as you get a good nights' rest while on the road. 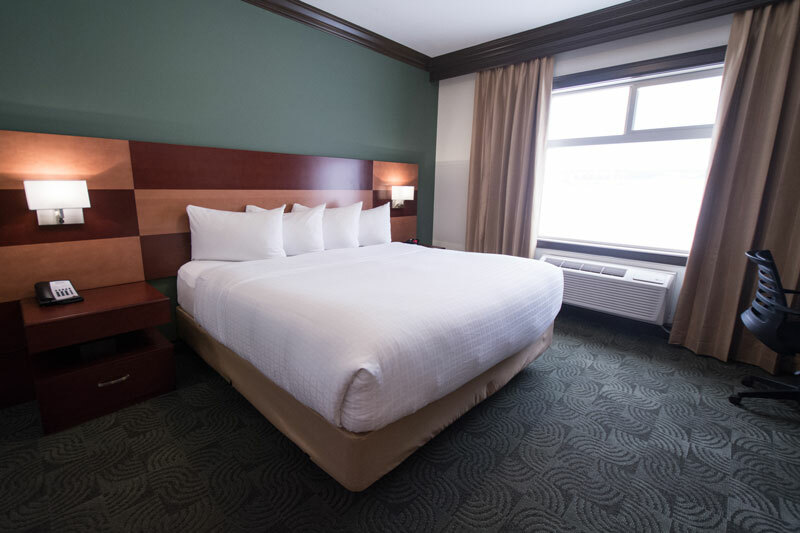 Our Executive King Apartment Suites are large and spacious suites that feel like home... but we make the beds. This Apartment Suite is completely self contained and has a full kitchen with a full fridge, dishwasher and everything that you may need to make a home cooked meal while on the road. The cozy living room is perfect for entertaining or relaxing and has a pullout couch, desk and flat screen TV and is separate from the bedroom with a King sized bed. 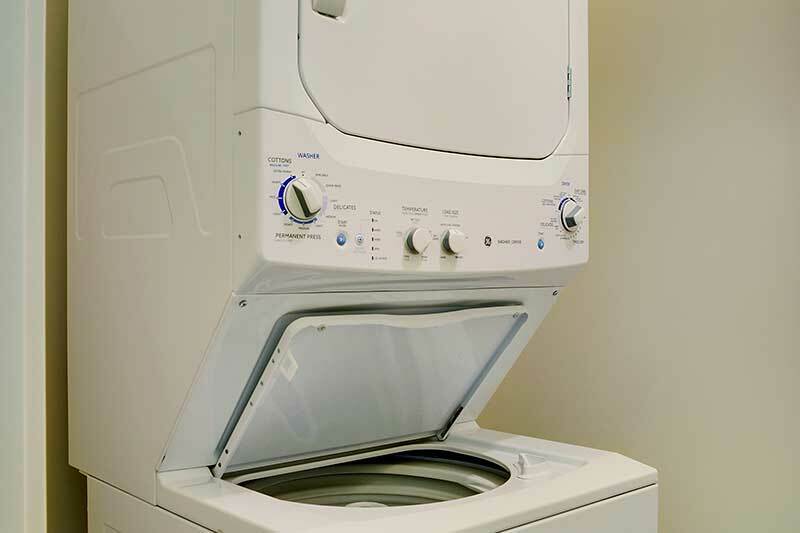 This suite even has its' own washer and dryer for those longer stays. Designed to give you that extra room you need while on the road. 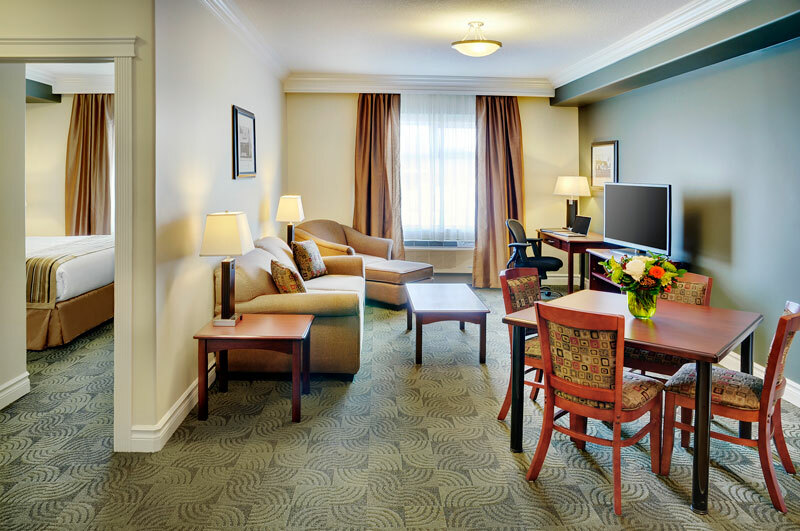 These spacious suites have two bedrooms with the option of two King sized beds or a King and Queen bed and are perfect for groups or families that are travelling together. 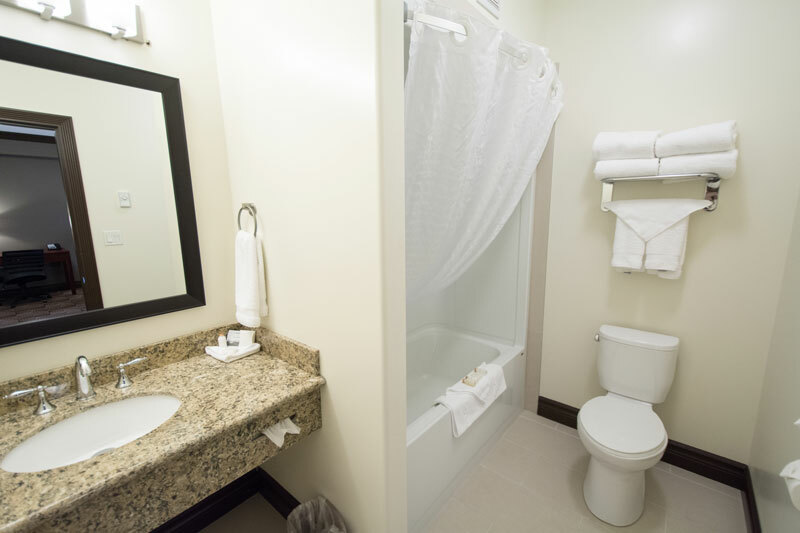 These suites offer two separate bedrooms from the living area with a seating area with a pull out sofa and full kitchen and a walk-in closet. 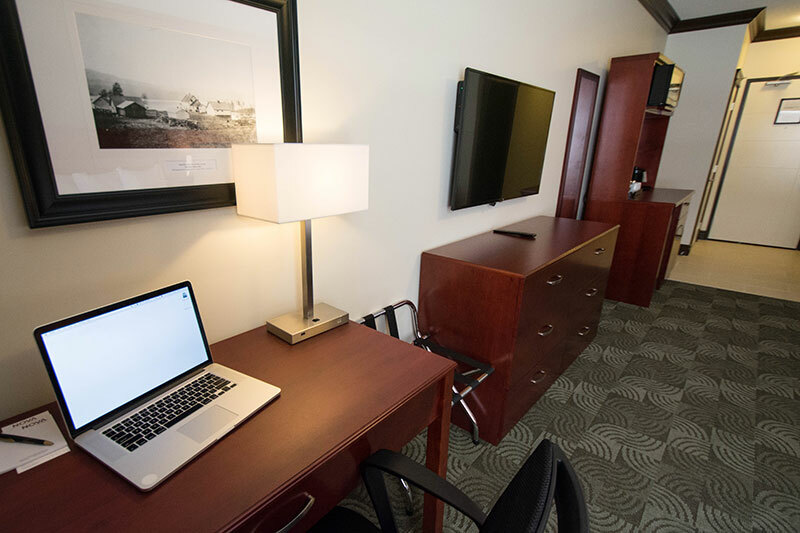 These suites offers you all the same amenities of the Executive Apartment Suites with the extra bedroom. Sharing a room has never felt so good.